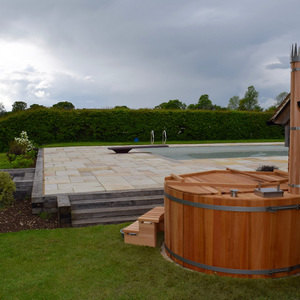 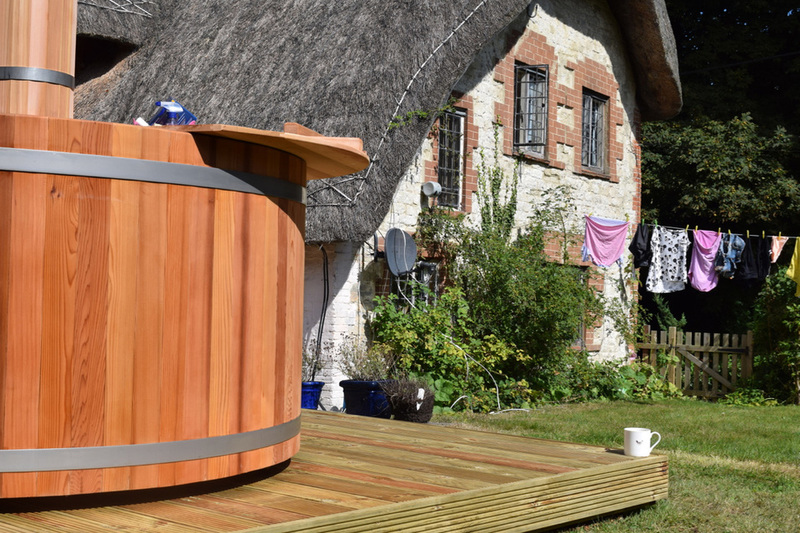 We offer only hot tubs made from western red cedar (Thuja Plicata). 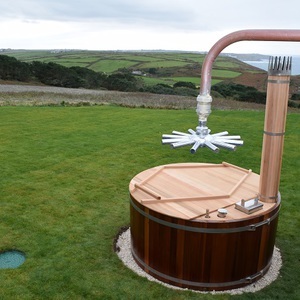 And of course it is very beautiful to look at. 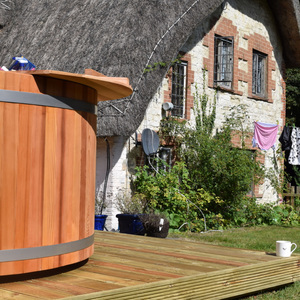 So if you are looking for the best material possible, western red cedar is the answer. 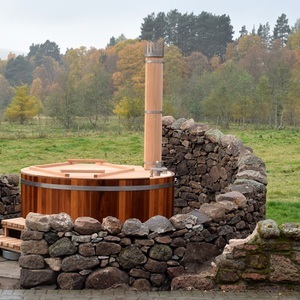 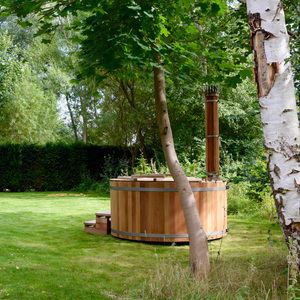 We offer only wood-fired hot tubs. 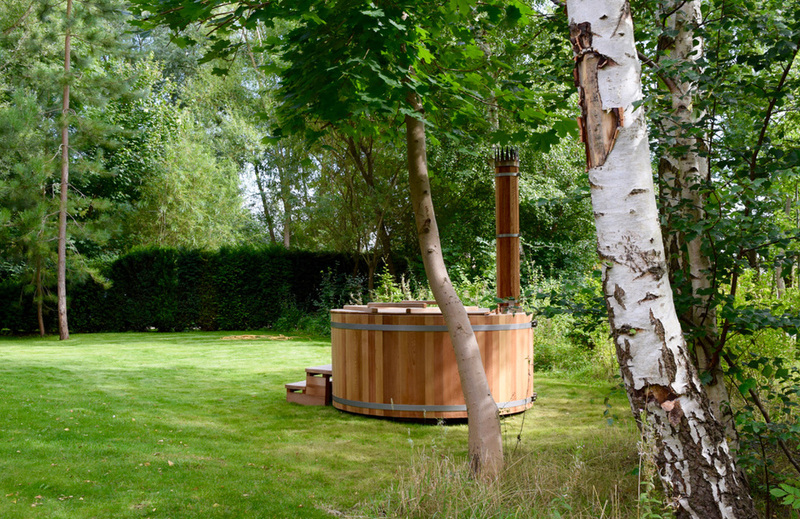 We offer only heaters placed internally and do not recommend external, so-called Chofu heaters. 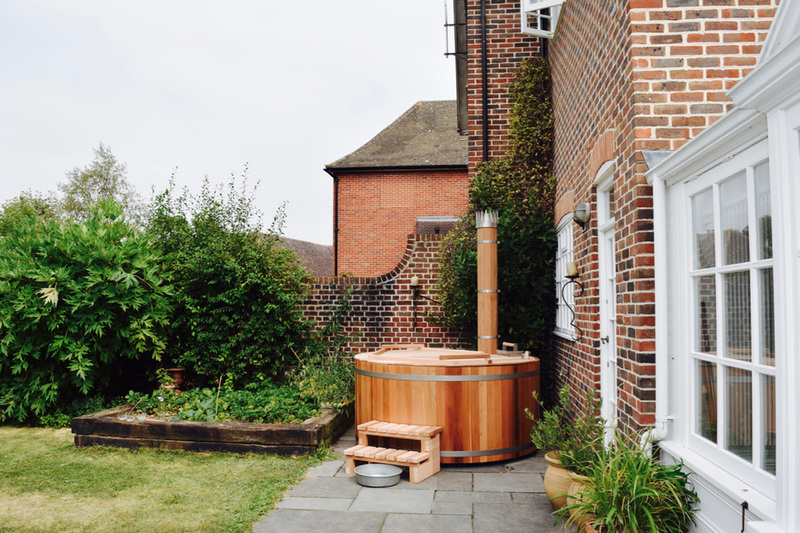 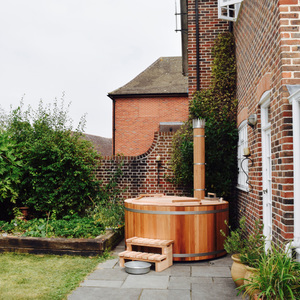 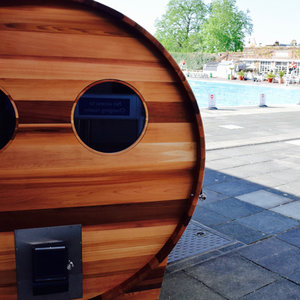 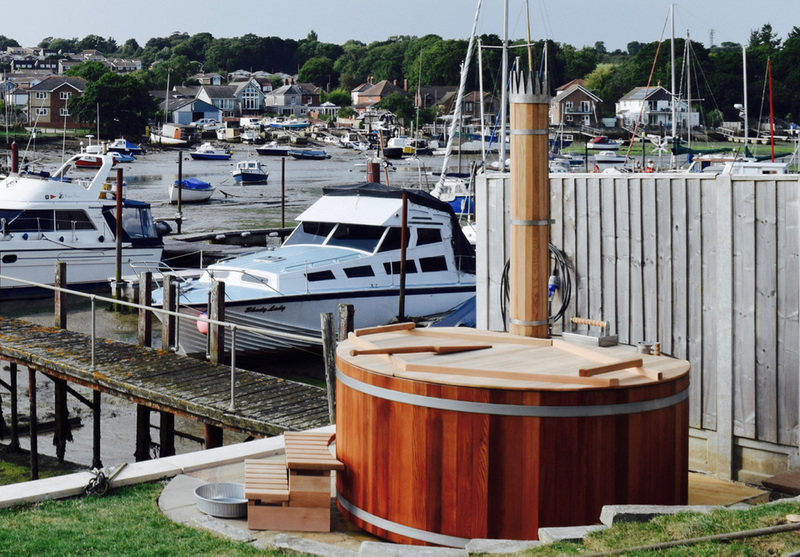 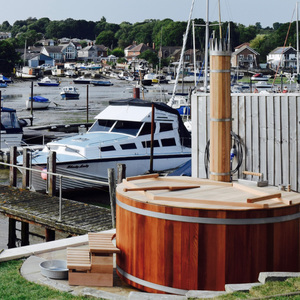 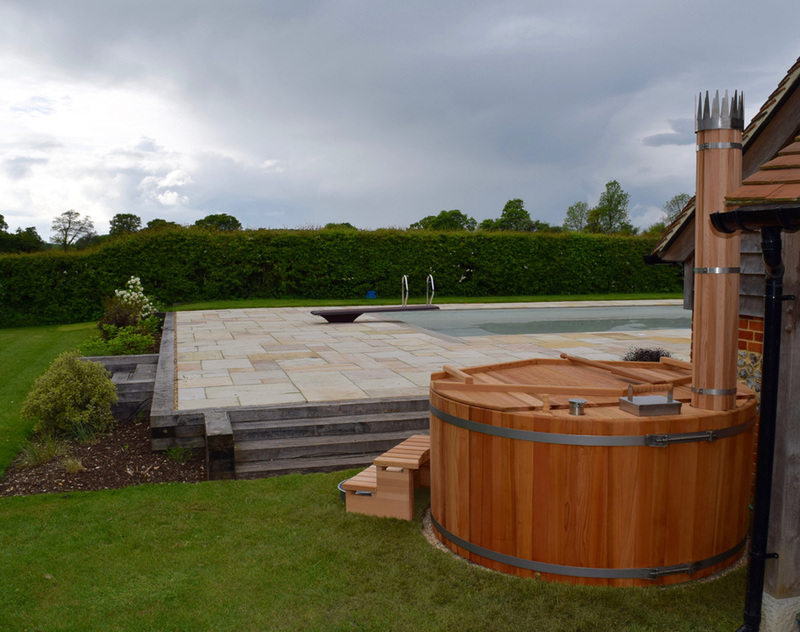 Our standard wood-fired hot tubs are equipped with NO jets and filters.